Legend has it that an image of Christ was found in 1238, its name coming from the Latin word vultus and probably linked to the Italian Saint Volto, from Lucca. In Xerea District, the Crist de Sant Bult or Sant Bulto de Crist has been celebrated since the 14th century, combining religious elements such as masses and processions with civic ones like dances, fireworks, and parades. 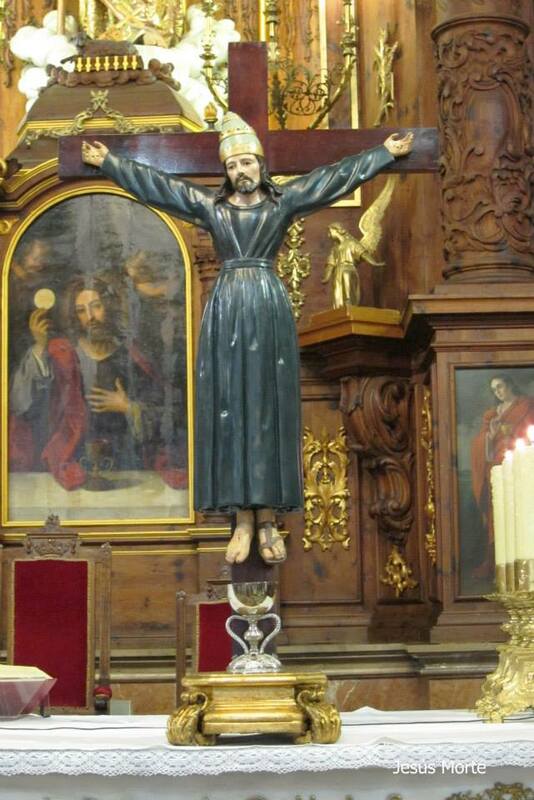 Although this Christ had altars in different churches, Xerea continued guarding the image which is currently in the church of Saint Thomas and Saint Philip Neri. In the 19th century the rise of bourgeois society caused many festivities to decline, but Sant Bult remained. The 1910s and 1920s were not easy either, and the image had to be hidden during the Civil War. In 1951 Sant Bult’s Home and School were set up, which provided the festa with a physical venue and helped it develop. The Board of Sant Bult Followers has opened their doors to new generations of festivity supporters. The collective spirit of the district contributed to overcoming crises and bringing Xerea closer to citizens, with acts such as the procession of Sant Bult during the Fishermen’s Holy Week. The future of the festivity in this popular neighbourhood is now much more hopeful. This festival was declared of Local Tourist Interest in 2017.